In autumn 2014, I had the privilege of travelling to Ashmore Reef with George Swann on the Reef Prince. It was a fantastic experience. (I made a posting about it on 7 April 2014.) Most trips to Ashmore go in spring; this particular autumn trip was a bit of an experiment to see what we could see. I came home with three lifers: Bulwer's Petrel, Jouanin's Petrel and, most exciting, a Yellow-browed Warbler. 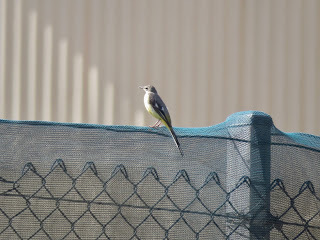 We saw lots of other birds of course. 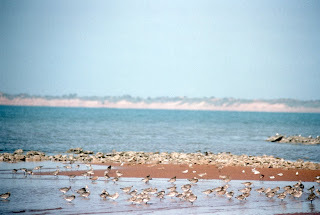 In particular, I remember a Red-necked Phalarope swimming in the ocean, and lots of nesting seabirds on various islands. 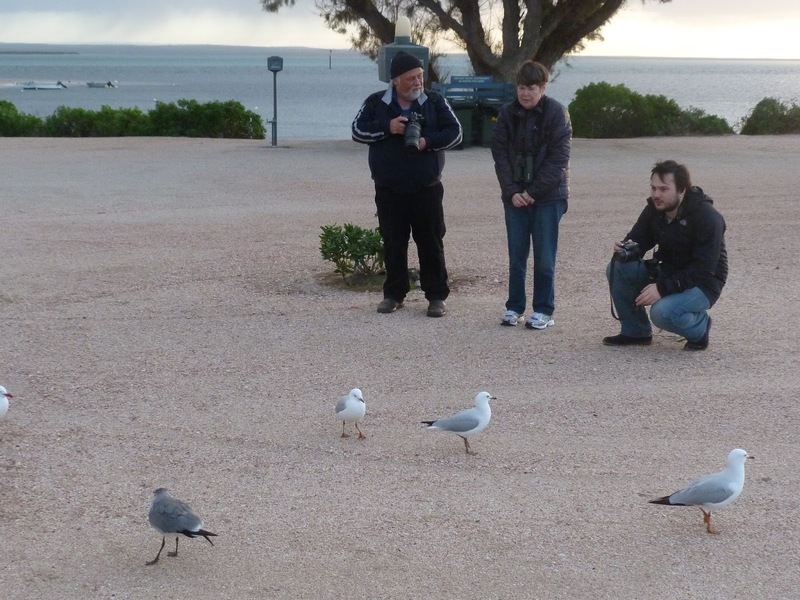 People go to Ashmore to see storm-petrels, and as we missed out in autumn, I knew I'd have to return in spring. This is the year! In November, I plan to board that wonderful boat, the Reef Prince again. This time I expect to see both Matsudairas's and Swinhoe's Storm-Petrels. 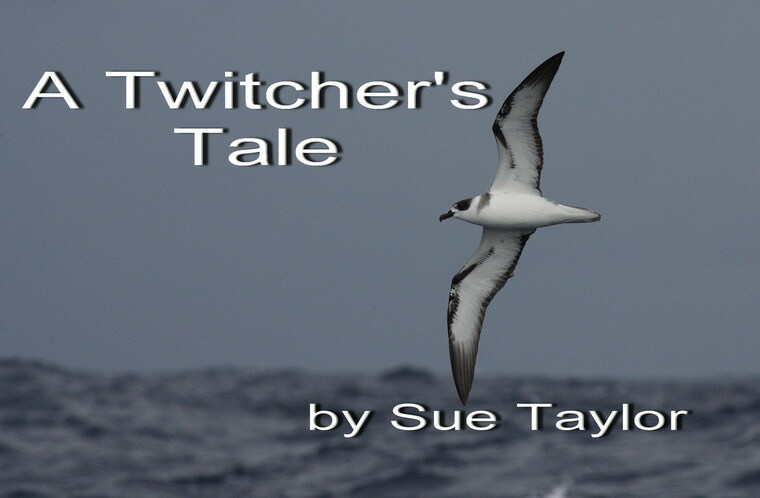 With a bit of luck I might manage a Leach's Storm-Petrel as well. A birding friend did the Ashmore trip last spring, and he saw Pechora Pipit, Middendorff's Grasshopper-warbler, Narcissus Flycatcher, Tiger Shrike, Siberian Thrush, Chinese Sparrowhawk, Siberian Blue Robin, Pallas's Grasshopper-warbler and Nicobar Pigeon. Howzat! If only we could see all them this year! 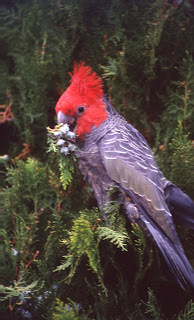 There are other birds too, which are possible on Ashmore. The Indonesian Collared Kingfisher is one. 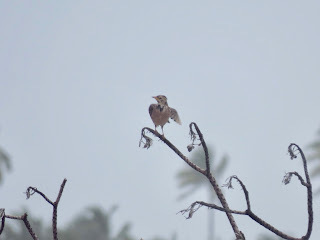 There's also: Swinhoe's Snipe, Lesser Coucal, Grey Nightjar, Island Monarch, Asian Brown Flycatcher, Grey Wagtail, Black-crowned Night Heron, Brown Hawk Owl, Pale-headed Munia and Arctic Warbler. 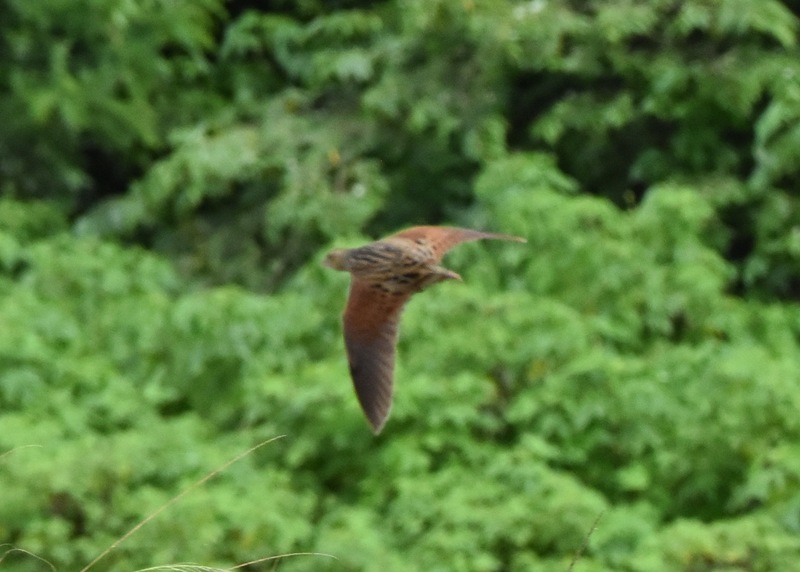 I'd have mentioned House Swift too, if I hadn't already seen one. Not a bad list of possibilities. I'm going for two storm-petrels. Anything more is a bonus. But what a list of possible lifers! Extraordinary! There are still places available for this November's trip on the Reef Prince. 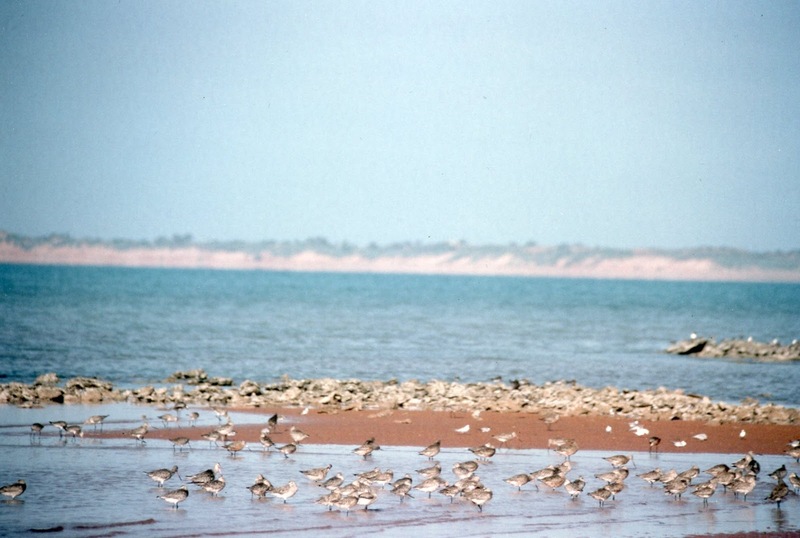 We leave from Broome on 2 November, and return to Broome on 10 November. 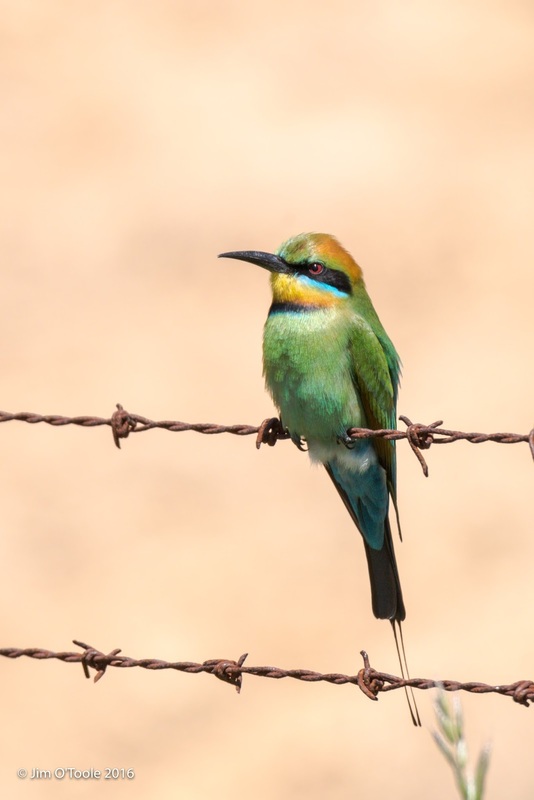 If you'd like to come, contact George Swann: info@kimberleybirdwatching.com.au. 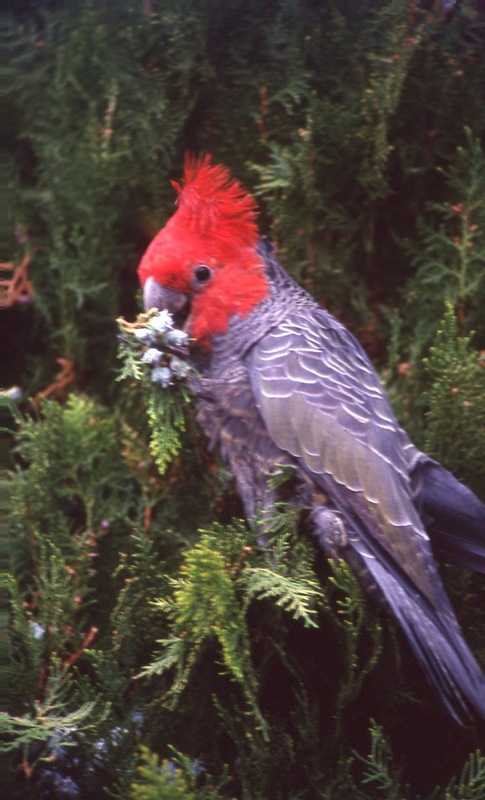 Some of Australia's best birders will be there. And I will too. One added benefit of an Ashmore Reef trip, is it leaves from Broome! Roger and I had run out of sherry (or apera if you must) and planned a quick trip to Rutherglen to remedy the situation. Although it was winter, I thought I could enjoy a day's birding in Chiltern. Amidst the rain, I was walking towards No 2 dam, when my phone rang. 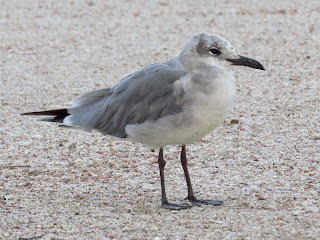 It was James Mustafa, ringing to say that there was a Laughing Gull in the caravan park at Venus Bay in South Australia, and that it was easily tickable. His plan was to fly to Adelaide, pick up a hire car and drive to Venus Bay, tick the bird, drive back to the airport and fly home. Sounds easy, doesn't it? Venus Bay is 662 kilometres from Adelaide. Roger said I was mad, but of course I was up for it. A possible tick was all I could think of as we hurried back to Melbourne with our cargo of sherry. The next day, Sunday, James and I had an uneventful flight to Adelaide and picked up our hire car from Avis. Luckily, they did not add any silly conditions such as that we couldn't drive at night. 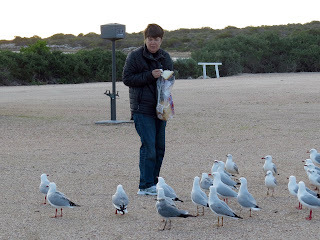 We left the airport at 11.20 a.m., and drove directly to Venus Bay with just a couple of petrol stops. Food was a secondary consideration. Traffic was good, there was a little rain and some pesky roadworks to negotiate, but all went well. It was dark by about 5.30 p.m. and we arrived at Venus Bay by about 7. Street lights are not a major part of the infrastructure of Venus Bay. Nevertheless we found the caravan park quite easily. 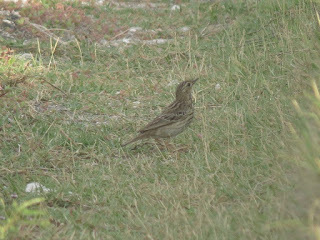 The charming woman in the office told us that the bird had been around since May, but had only been identified the previous week (21 July). Birders were now flocking to the caravan park, and we were made to feel most welcome. I knew the birder in the cabin next door, so we knocked on his door to get the latest news about the gull. 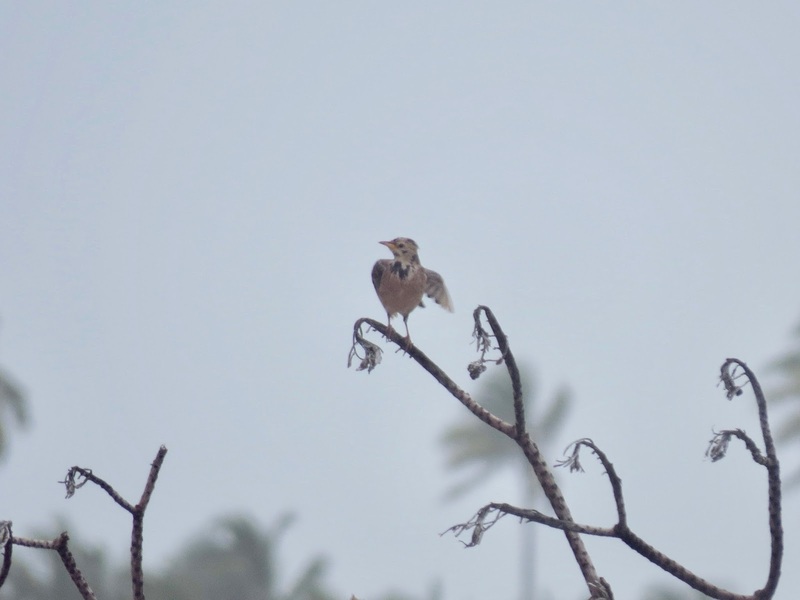 He assured us that he'd seen it that morning, but it had been absent all afternoon as the weather had been wet and gusty. 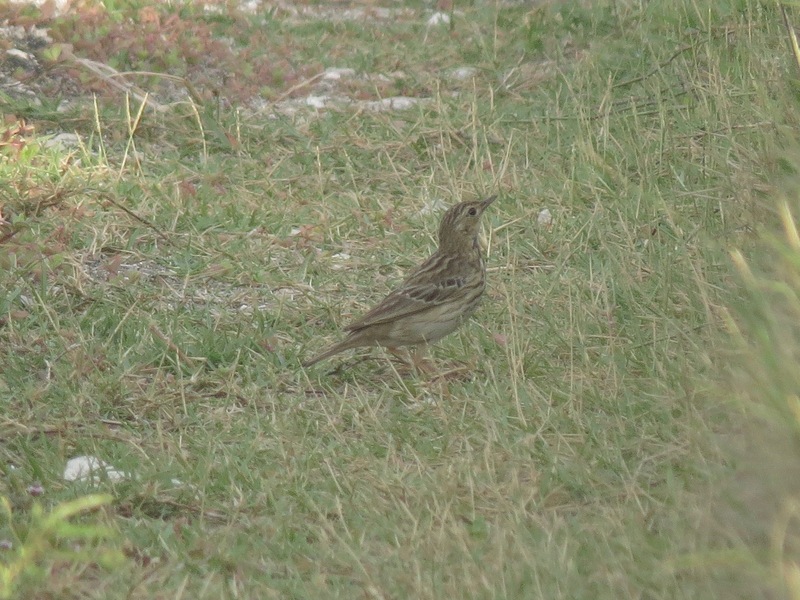 Until then, I'd had no doubt that we would see this 'easily tickable' bird. Now the doubts started to set in. It was a cold night. I tossed and turned, worrying that the bird would not appear. At what time should I persuade James that we must return home? How much time could we give this bird to put in his appearance? We were up early, waiting for it to be sufficiently light to identify gulls. At 7.30, we joined a couple of other eager twitchers, and sauntered over to the gulls hanging around the foreshore hoping for a free feed. I'm ashamed to say that we obliged. We threw them unhealthy bread and encouraged them to make as much noise as possible. We had about twenty Silver Gulls and one or two Pacifics gathered around us enjoying our carbohydrates. I was nagged by doubt. We should really leave by 9, I thought. But how would I possibly persuade James to leave if the bird had not appeared? We ran out of bread, and James said he'd return to our cabin to replenish supplies. 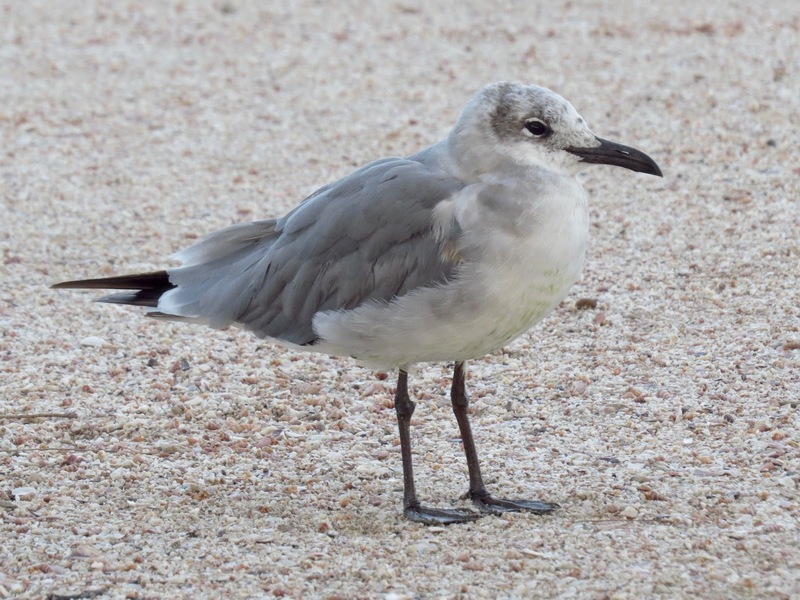 I told him to bring the Laughing Gull back with him. Obedient fellow that he is, he did! He yelled to us that the gull was flying in, and we turned to admire it fly over his head and come down to join our flock of Silver Gulls. I was delighted and relieved. We spoke to it. We admired it. We thanked it for appearing. Shame on us, we even fed it. It did not fly up to catch thrown bread as did the Silver Gulls. It stood stupidly waiting for the bread to come to it. 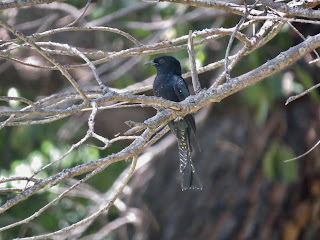 It opened its black bill to reveal a very pink mouth and mewed. It did not laugh. 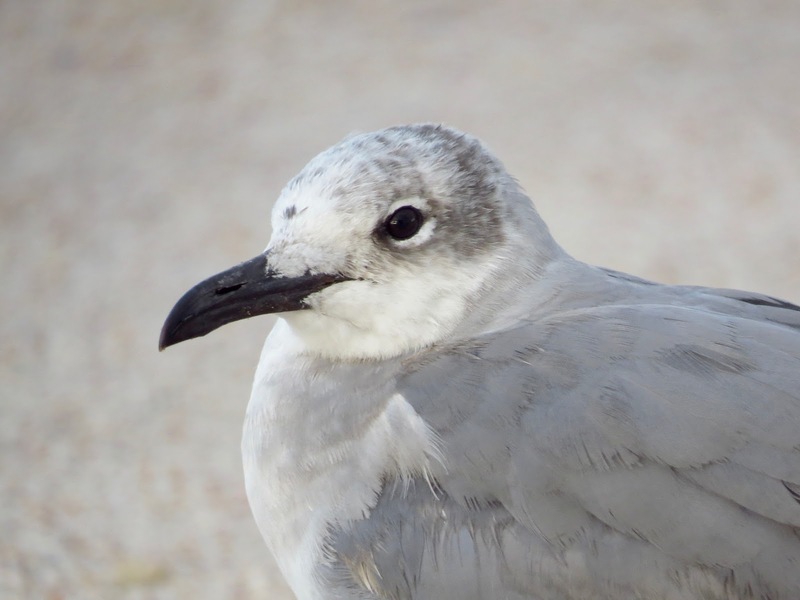 Someone said that Laughing Gulls only laugh at their breeding sites. I had no problem dragging James away. We admired the bird. He took his photo. We congratulated each other on our extreme brilliance and exceptional birding abilities in managing to see a rare gull precisely where we'd been told it would be, then we set off home. We left at 8.15 a.m. A few kangaroos hopped across our path on the road out of Venus Bay. This was Monday and there were road trains to contend with on the Eyre Highway that hadn't bothered us yesterday. It rained sporadically and some selfish caravans thought that 40 kph was an appropriate speed to travel on the highway. We paused for lunch at noon at the Arid Lands Botanic Gardens in Port Augusta (site 47 in my Best 100 Birdwatching Sites in Australia). It was cold and windy, but we had a quick walk to the bird hide nevertheless. James photographed a Chirruping Wedgebill, and his sharp eyes picked out a pair of Spotted Harriers, a male White-winged Fairywren, and a Rufous Songlark as well as the usual honeyeaters and babblers. Then, it was on to the airport to wait for our flight home. It was all quite easy really. That dear little Laughing Gull gave us more pleasure than it will ever know. Roger still thinks I'm mad, but he has to concede that I got my tick! 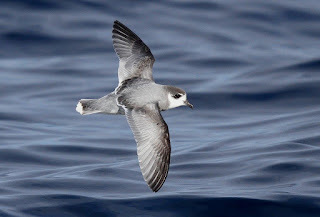 Because recent pelagic trips had been producing such exciting sightings (and mainly because the latest Port Fairy pelagic had recorded Antarctic Tern) Neil Macumber put on a special trip on Saturday, 16 July, 2016. 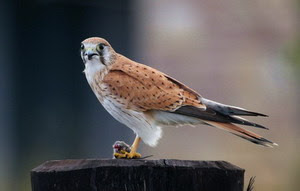 An enthusiastic group of birders gathered on the wharf in the dark and boarded the Perceive with hungry anticipation. 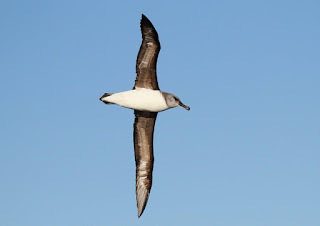 Neil had mentioned the possibility of Kerguelen Petrel. Most people wanted Antarctic Tern. I was secretly hoping for a Southern Fulmar. The first bird we saw was (appropriately) a Shy Albatross. I've never done a pelagic out of Port Fairy (or, indeed, Portland or Port MacDonnel) without seeing Shy Albatross. They are beautiful birds and should not be overlooked because they are common. The next bird that flew into sight was a Crested Tern. 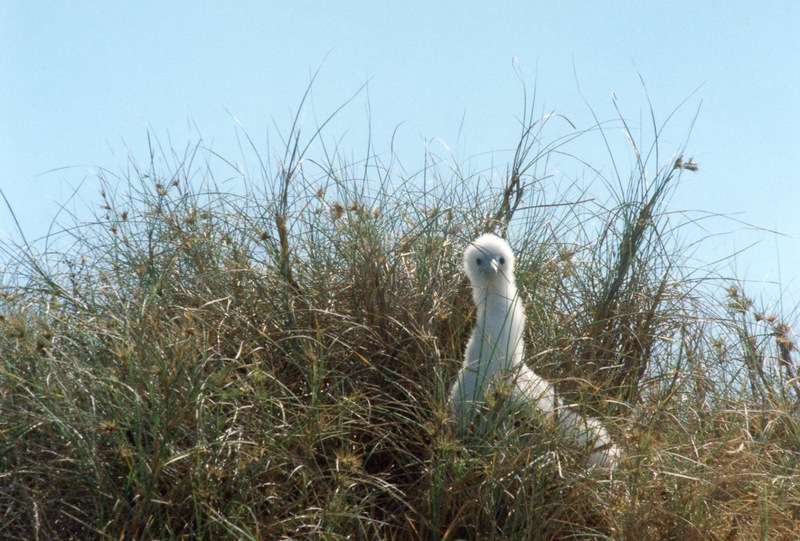 We saw several Crested Terns throughout the day and I don't remember terns ever being exposed to such scrutiny. No matter how we examined them they remained stubbornly Crested Terns and refused to morph into anything else. We did see one Arctic Tern later in the day, but apart from that, every tern was Crested. 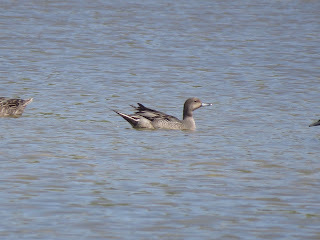 We saw both Fluttering and Hutton's Shearwaters - large rafts of both, close to the boat. 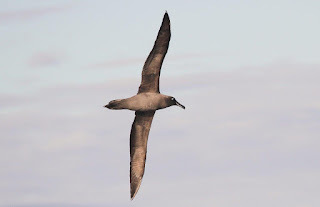 I saw just one Sooty Shearwater - the keen-eyed youngsters probably spied more. There was a sprinkling of Australasian Gannets throughout the day. There were Fairy and Slender-billed Prions, a handful of Grey-backed Storm-Petrels and three or four Northern Giant-Petrels. 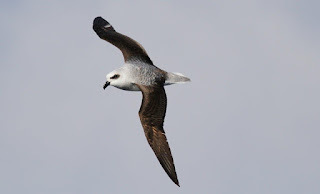 I saw one Great-winged Petrel. And then there were albatross. We'd have had a hundred around the boat at a given point in time. Magnificent! 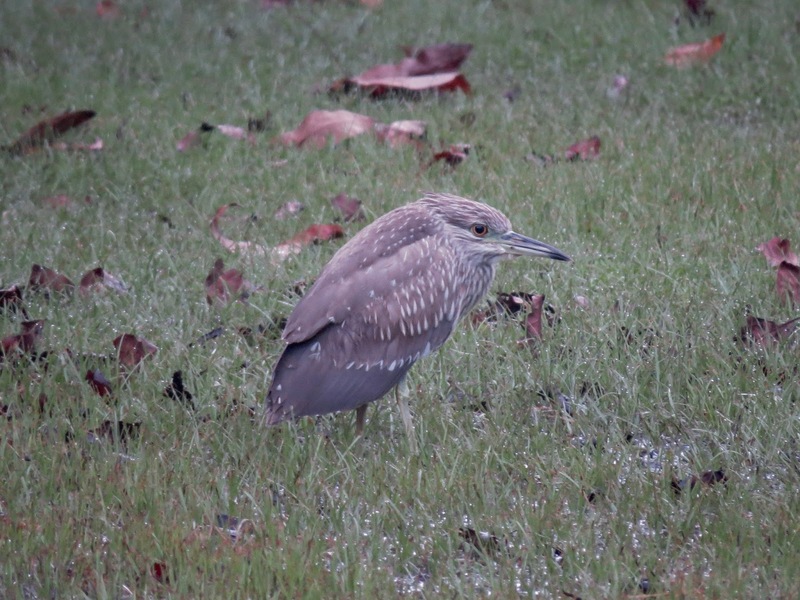 We had Black-browed, Campbell's, Yellow-nosed, a couple of Northern Royal and one young clown - an immature Wanderer. There were two metre swells on the way home and a few people were queasy. One unfortunate fellow spent the day on the deck. The rest of us proclaimed it a good day at sea. If we'd managed to chalk up a lifer, it would have been a great day at sea. One man on the deck (he'd forgotten his Quells). Soaring with pleasure, not ruffling a feather. We saw several terns, all of them Crested. Cold and uncomfortable, patience is tested. 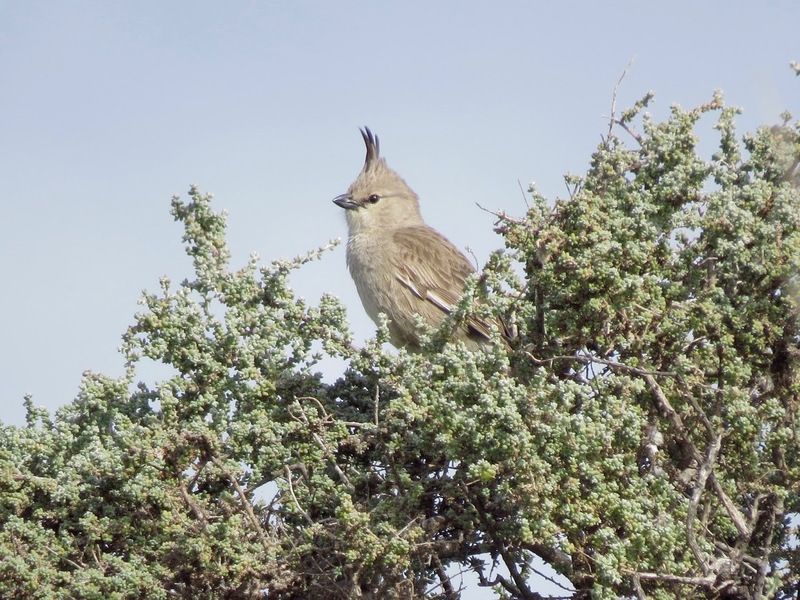 Getting a lifer was not meant to be easy! Last weekend I had a wonderful time seabirding off Eaglehawk Neck in Tasmania. Highlights were the albatrosses, so many birds and so many species. Also several Blue Petrels, a couple of Grey Petrels and (perhaps my favourite) a few White-headed Petrels. Jaegers were quite absent, there was just one Brown Skua, and very few diving-petrels and storm petrels. We were on the Pauletta, seas were calm and no one was seasick. It was cold, but for a winter pelagic off Tasmania, you really couldn't ask for better conditions. Most people had difficulty arriving at Eaglehawk Neck, because, without explanation or apology, Jetstar deferred or even cancelled just about every flight. I flew Qantas and arrived on time. David Mitford, who organized the trip, flew from Sydney. His flight was cancelled, so he flew to Launceston and another obliging birder drove up from Hobart to collect him. I flew home with Jetstar and arrived three hours late. 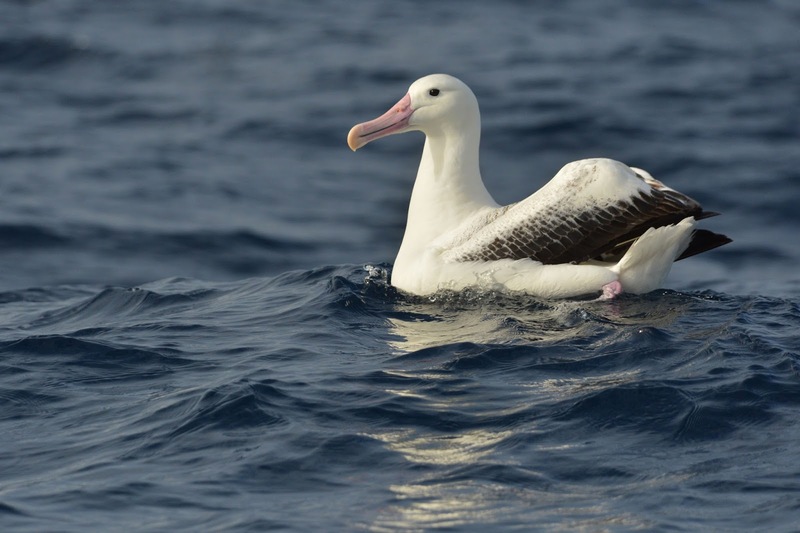 On Saturday, the albatrosses were nothing short of spectacular. 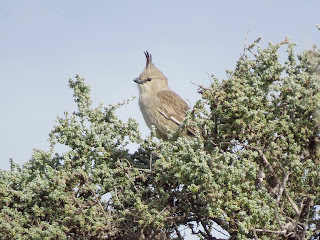 The most numerous species was Shy, but there were plenty of Buller's too, and close sightings of both Black-browed and Campbell's. 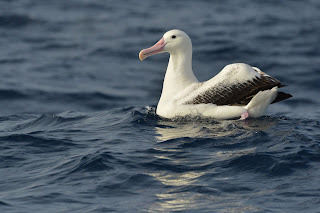 We saw several Wandering Albatrosses and more than one Southern Royal. Of course, the most exciting were the Sooty and the Light-mantled Sooty. Altogether, an exceptional array of albatrosses. Then, on Sunday, the icing on the cake, a Grey-headed Albatross appeared. 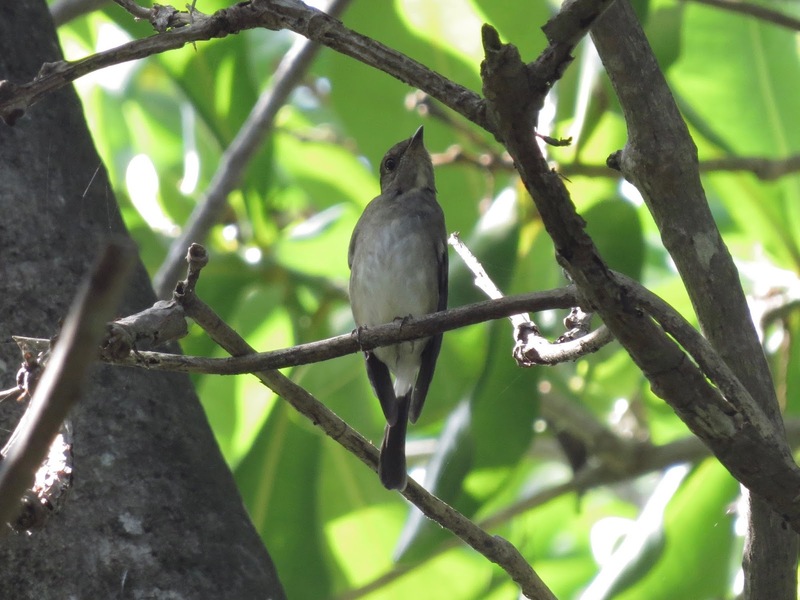 We saw both Fairy and Slender-billed Prions, as well as the Blue Petrel, both races of Cape Petrels, and both Great-winged and Grey-faced Petrels. 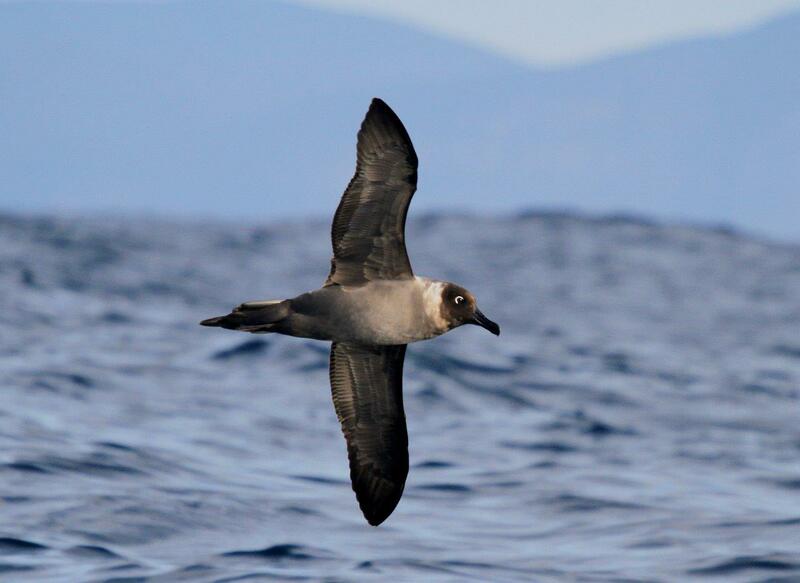 Each day, just one Sooty Shearwater put in an appearance. On Saturday evening, after the pelagic, we all drove down to Port Arthur to see the Masked Owl. 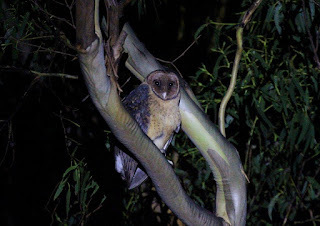 We arrived on dusk and waited just a few minutes before the owl appeared. 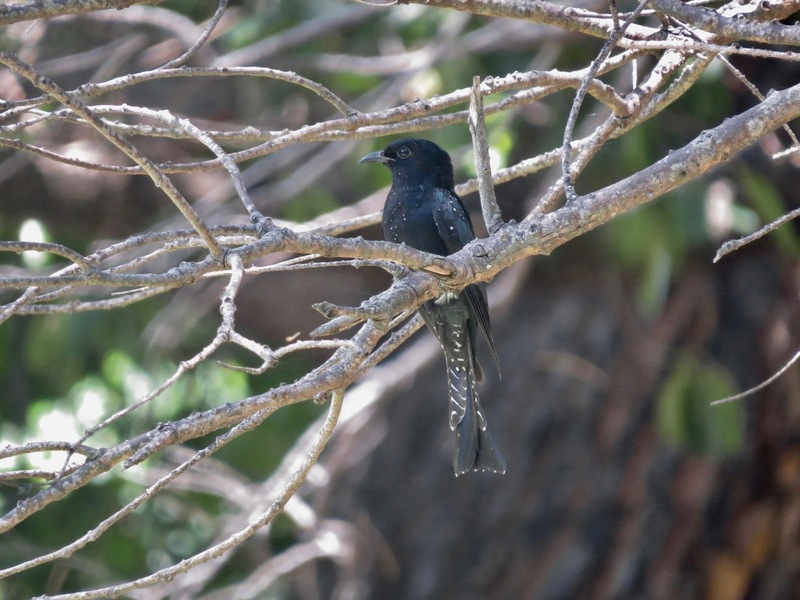 It flew and was quickly relocated, allowing everyone to have magnificent views. Thank you, David, for organizing the weekend and for providing the beautiful photos shown here. It really was a terrific weekend. 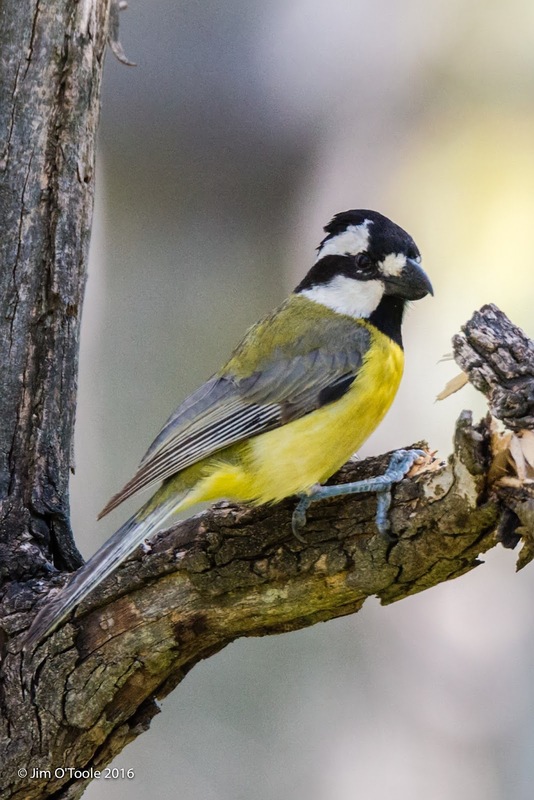 Great birds, great company, what more could you want?